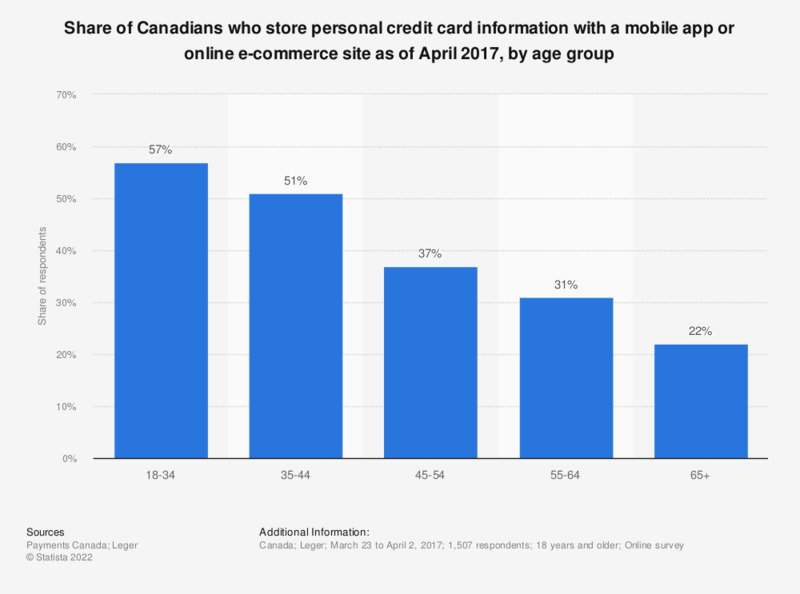 This statistic shows the share of Canadians who store personal credit card information with a mobile app or an online e-commerce site as of April 2017, broken down by age group. The findings show that respondents aged between 18 and 34 years were the most confident storing their personal credit card data online, with 57 percent of respondents in this category saying that they did so. Conversely, 22 percent of respondents aged 65 or above said that they store their card information on a mobile app or e-commerce site, marking a significant difference between these two age groups.